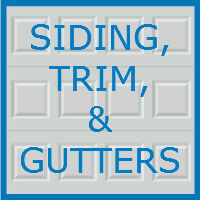 At Blue Sky Builders, we believe everyone deserves the garage of their dreams. To help our customers achieve this, we have been building custom garages in the Chicago area for over 30 years, and our team offers a wide variety of custom garage features to fit our clients’ specific needs. When planning your next garage rebuild or remodel, one of the first and most important steps to take is to determine the primary use of your space. 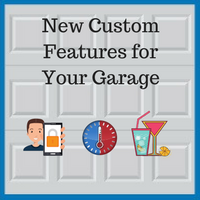 Once you know the specifics of what you will be using your garage for, our team can help you decide which custom garage features would benefit your space. 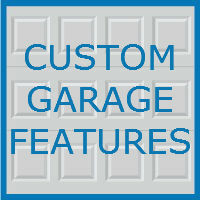 Today, we will take a look at three popular custom garage features that come in handy for a variety of reasons; staircases within garages, different garage door sizes, and high lift garage doors.